CTS authorizations and certifications run deep with Apple®. We are an Authorized Pro VAR, Apple Enterprise Authorized Service Provider (AASP), member of the Apple Consultants Network (ACN) and Apple Developer Network. 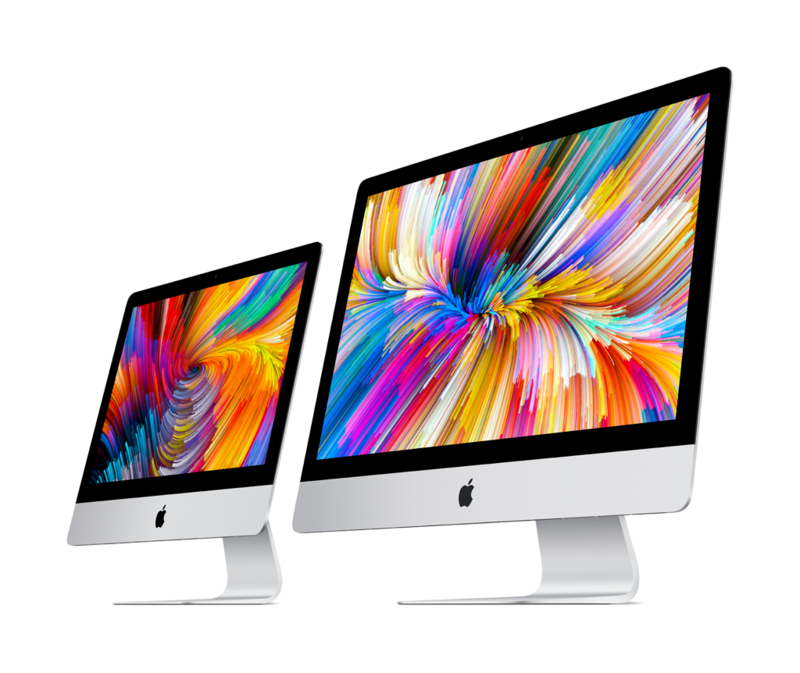 With breakthrough iOS® devices, a powerful line-up of Mac® notebooks and desktops, and an experienced integrator like CTS, we can make sure you have everything you need to run your business. An immersive Retina display. Powerful 64-bit chip that can easily run graphics-intensive games and apps. Advanced cameras, front and back. Simple and secure authentication and Apple Pay. Wi-Fi and LTE.1 All-day battery life.2 Support for Apple Pencil.3 Over a million apps available on the App Store. And with iOS, iPad is more powerful and personal than any other computer, so you can do more than ever before. iPad. There’s nothing else quite like it. iPad Pro features an advanced Liquid Retina display with an edge-to-edge design available in 11-inch and 12.9-inch sizes.5 Face ID, so you can securely unlock iPad Pro, log in to apps, and pay with just a glance. The A12X Bionic chip is faster than most PC laptops and easily runs pro apps. All-day battery life.2 Wi-Fi and Gigabit-class LTE.1 Over a million apps available on the App Store, including augmented reality experiences. And Apple Pencil3 and the Smart Keyboard Folio4 help you be even more creative and productive. It will make you rethink what iPad is capable of—and what a computer is capable of. Thin, powerful, and incredibly portable, iPad lets you multitask and collaborate from anywhere. 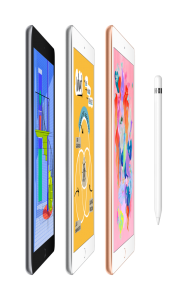 It features a stunning Retina display, advanced cameras, Wi-Fi and LTE,1 and all-day battery life.2 Add Apple Pencil for even more flexibility.3 Choose from amazing apps for business on the App Store. And get more done with the simple and powerful features in iOS 12. iPad packs productivity everywhere it goes. With a thin and light design, the new iPad Air is ready for any task. Its A12 Bionic chip with Neural Engine enables a whole new level of power and intelligence. 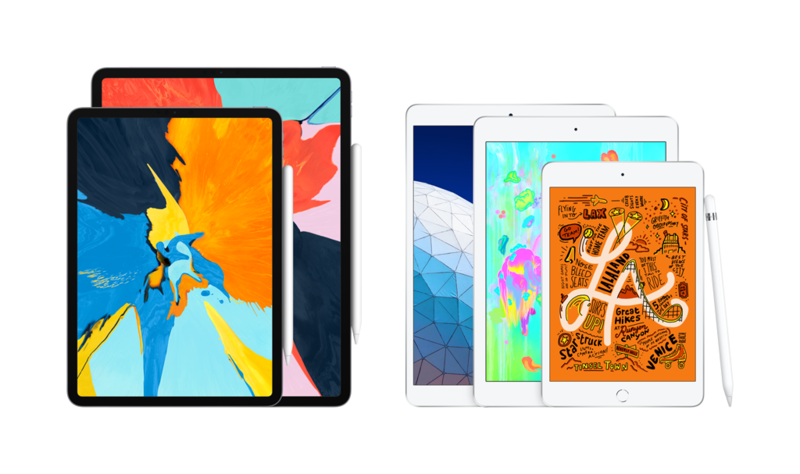 A beautiful 10.5-inch Retina display with True Tone provides easier viewing in all kinds of lighting environments.6 And with ultrafast Wi-Fi and Gigabit-class LTE1 and support for Apple Pencil3 and the Smart Keyboard, 4 there’s never been a better time to upgrade to a new iPad Air. With power beyond its size, there’s a lot to love about the new iPad mini. 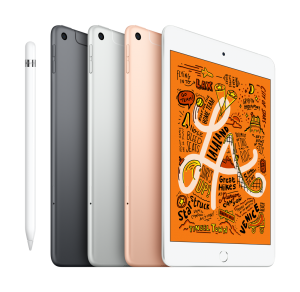 The A12 Bionic chip is 3x faster than the A8 chip in iPad mini 4. 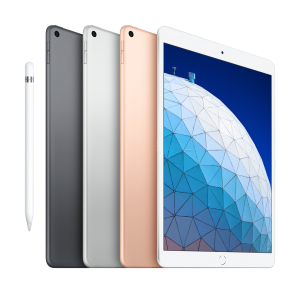 Its brilliant 7.9-inch Retina display now features True Tone, which makes viewing easier in all kinds of lighting environments.6 Faster Wi-Fi and Gigabit-class LTE help you stay connected anywhere.1 And for the first time, iPad mini supports Apple Pencil,3 making it capable of capturing your biggest ideas, anywhere. It’s no small upgrade. 1Data plan required. Gigabit-class LTE and LTE are available in select markets and through select carriers. Speeds are based on theoretical throughput and vary based on site conditions and carrier. For details on LTE support, contact your carrier and see www.apple.com/ipad/LTE. 10.5-inch iPad Pro, 12.9-inch iPad Pro (1st and 2nd generation), 10.5-inch iPad Air, iPad (6th generation), and iPad mini (5th generation). 4Smart Keyboard Folio is sold separately. 5The displays have rounded corners. When measured as a standard rectangular shape, the iPad Pro 12.9-inch screen is 12.9 inches diagonally and the iPad Pro 11-inch screen is 11 inches diagonally. Actual viewable area is less. 6Display size is measured diagonally. 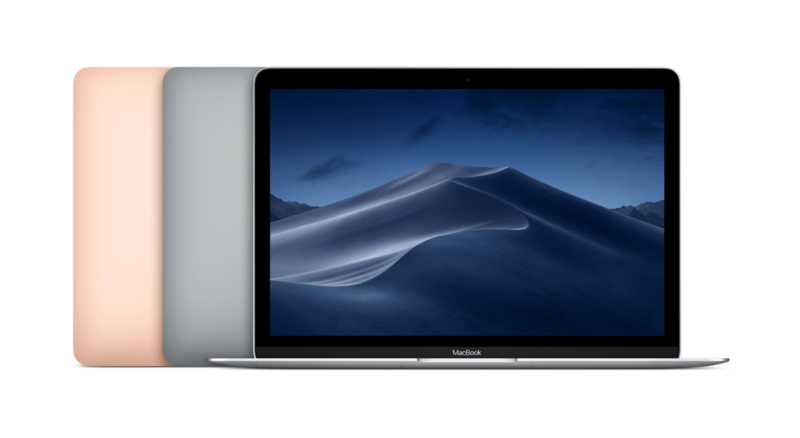 From powerful processors to high-performance storage to advanced security features—every Mac is designed for all the ways you work. Be more productive with powerful built-in apps that are easy to use. Create presentations. Crunch numbers. Communicate and collaborate with your team. Interface with key business systems. And every Mac works beautifully with your iPhone or iPad. No matter which Mac you choose, it’s built for all your business needs. Now everyone from video editors to 3D animators to musicians and software developers can turn big ideas into amazing work like never before. 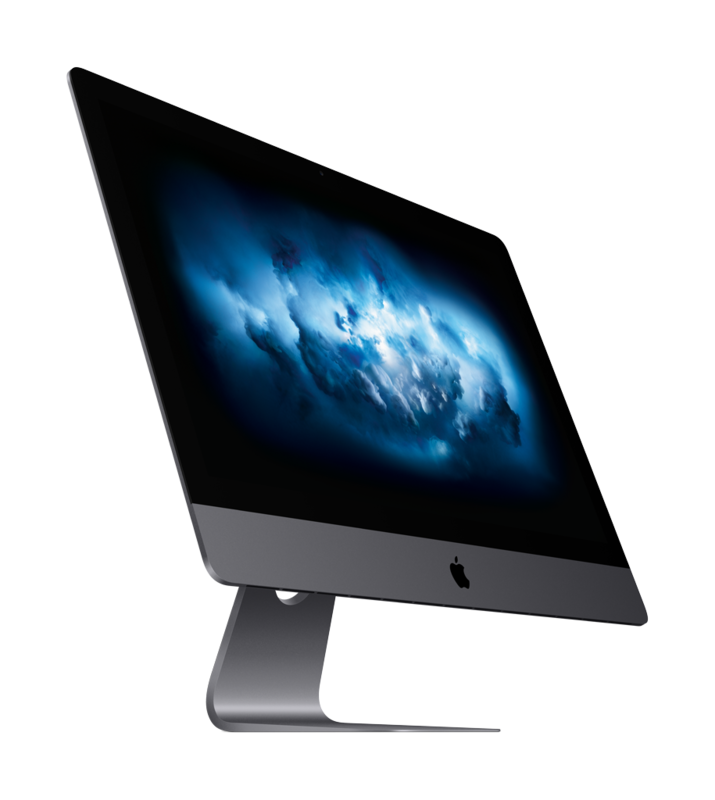 iMac Pro is powered by an Intel Xeon W processor with up to 18 cores for incredible performance. Its Radeon Pro Vega graphics chip lets you build and render amazingly lifelike special effects and VR worlds. And with up to 256GB of memory and 4TB of flash storage, saving and loading projects happens almost instantly. 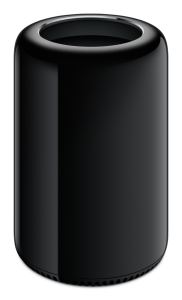 Introducing iMac Pro, the most powerful Mac ever. MacBook Pro features a high-performance Intel dual-core processor in a light and portable design. A brilliant Retina display. And 10 hours of battery life.1 It’s a notebook built for the work you do every day. Ready to go anywhere a great idea takes you. 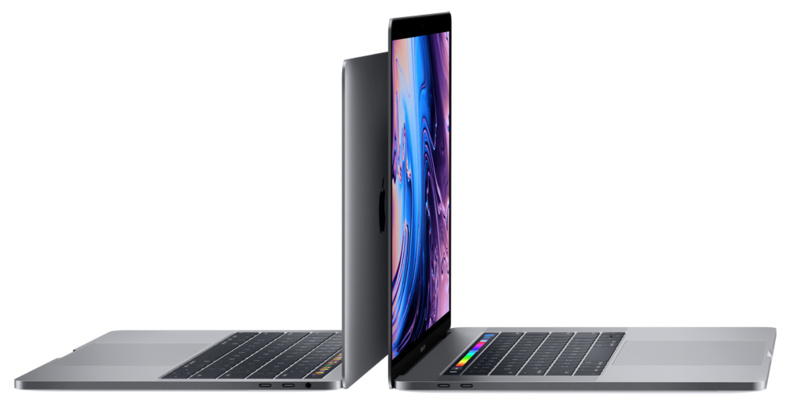 MacBook delivers more performance in the lightest and thinnest Mac notebook ever. 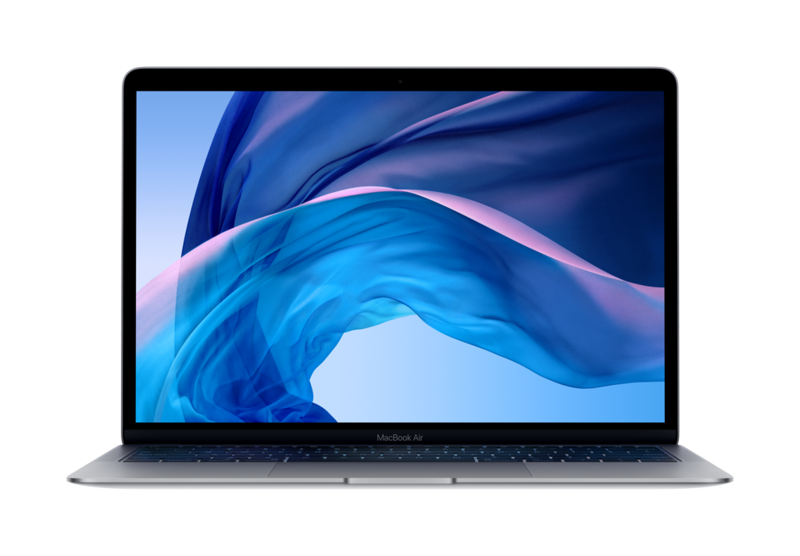 With seventh-generation Intel Core processors, 12-inch Retina display,3 a full-size keyboard, force-sensing trackpad, versatile USB-C port, and all-day battery life,1 MacBook features big thinking in an impossibly compact form. Eighth-generation 6-core and quad-core processors. Faster 2666MHz DDR4 memory. A variety of new ports, including Thunderbolt 3, HDMI 2.0, and available 10Gb Ethernet.4 And blazing-fast all-flash storage so you can load giant files and launch apps faster than ever.5 The re-engineered Mac mini is the best performing yet. Ready for the desktop. And beyond. 410Gb Ethernet is available as a configurable option. 5Compared to previous generation Mac mini. Mac in Business – Bexar County BiblioTech – Changing lives with digital services—and Mac. iPad in Business – Tokyo Metro – Keeping the world’s busiest city in motion. iPad in Business – Schindler – Elevating field service with intelligent tools. iPad in Business – St John Ambulance – Real-time information drives better urgent care. iPad in Business – Redlands Police Department – On duty with iPhone and iPad. Apple, the Apple logo, Mac, iPad, iPhone, Retina and OSX are trademarks of Apple Inc., registered in the U.S. and other countries. Multi-Touch and iPad mini are trademarks of Apple. iOS is a trademark or registered trademark of Cisco in the U.S and other countries and is used under license. Intel is a trademark or registered trademark of Intel in the U.S and other countries.